MARL 742 Series LED Wallpacks are now available to order from HUB Electronics. 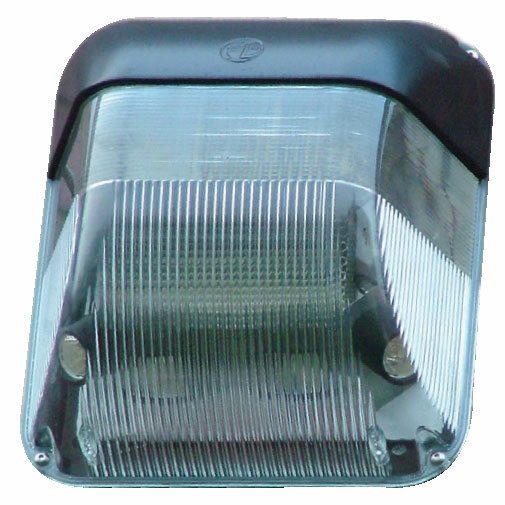 Typically used to replace a 70W SON fixture, MARL 742 Series LED Wallpacks are suitable for a wide range of applications including perimeter lighting, security lighting, path lighting, architectural lighting, driveway lighting, industrial lighting, bay lighting, stair lighting and tunnel lighting. Manufactured in the UK with an aluminium housing and a polycarbonate lens, the MARL 742 Series Wallpack has voltage input of 100 to 240Vac - 21W, power output of 1500 lumens, cool white (5000K) high intensity LEDs and a life expectancy in excess of 60,000 hours. The unit is sealed to IP65 suitable for external applications and is available with an optional dusk/dawn sensor. MARL Wallpack specification and IES File are available. Browse the MARL 742 Series LED Wallpacks range, or contact us for more information.